As recent Envision-designated projects have shown, the possibilities for sustainability in civil engineering are endless. Whether it’s a streetcar that can sustainably connect communities or a park that uses art to recycle pond water, Envision projects incorporate sustainability in the planning, designing, building, and maintenance phases. 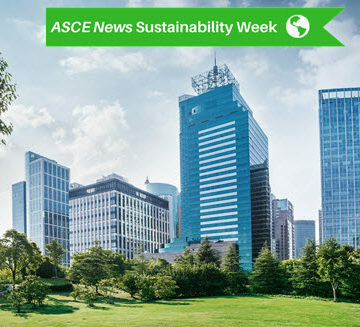 The Institute for Sustainable Infrastructure – an organization cofounded by ASCE in 2011 – developed the Envision rating system to measure sustainable infrastructure projects in five categories: quality of life, leadership, natural world, resource allocation, and climate and risk. 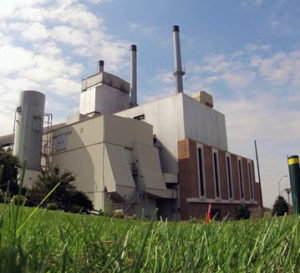 The Holland Energy Park project in Holland, MI, became the first power plant and park project to win an Envision Platinum award. The park is part of a 40-year plan for sustainability energy that incorporates natural gas with supplemental purchase power agreements for renewable energy that will provide affordable power for the surrounding community for decades to come. The project uses the latest in combined-cycle, natural-gas-generating technology to produce up to 145 megawatts of power to meet the needs of a growing community. The project doubles the fuel efficiency of Holland’s present power generation and includes a modern building design that creates an eastern gateway to the city. In addition to its power generation capabilities, the park’s features have reduced carbon emissions by half and virtually eliminated solid-particle pollutants. Read more about the energy park. The Port Metro Vancouver’s Low Level Road project earned an Envision Platinum award for its ability to enhance rail and port operations while addressing community safety and traffic-congestion challenges. 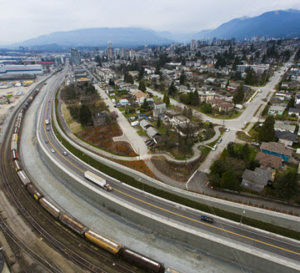 The project involved realigning and elevating 2.6 kilometers of Low Level Road in North Vancouver, BC, opening space for two new rail tracks. The project also eliminated three existing road and rail crossings, thereby providing direct access to major port terminals. The alleviated congestion helped bolster recreation in the area while reducing noise challenges associated with port operations along the Low Level Road. This was accomplished through the reconfiguration of three intersections and improved lanes for cyclists as well as continuation of the Spirit Trail pedestrian walkway. Read more about the road project. 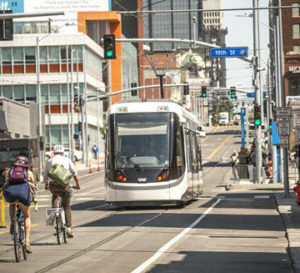 The Kansas City Streetcar Project in Kansas City, MO, became the first transit and first streetcar project to earn the Envision Platinum award. The streetcar improves local circulation, supports local development goals, strengthens urban centers, and maintains long-term sustainability standards. 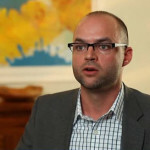 The initial planning behind the project developed around four goals – connect, develop, thrive, and sustain. The transportation system provides “last mile” connectivity to other regional transit services and integrates with bicycle and pedestrian facilities. By investing in the transit system, Kansas City secured transportation for an area that is home to 65,000 employees and 4,600 residents and a host to more than 10 million visitors each year. Read more about the streetcar. 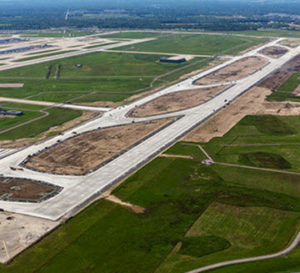 The Detroit Metropolitan Airport’s Runway and Associated Taxiways Reconstruction project received the Envision Silver award for providing a safe connection for aircraft from the runway to the passenger terminals. The project construction used several initiatives to reduce resource consumption, including the installation of LED lighting and signage, stormwater reuse for dust control (with over 10 million gallons of recycled water to date), and reuse of excavated materials both on the project and in locations west of the runway to balance the site and minimize maintenance needs. The project contractor also brought a concrete crusher onsite to enable efficient pulverizing of materials for use on other projects. The project went beyond compliance standards by reducing existing impervious surfaces at the site. Read more about the airport runway. 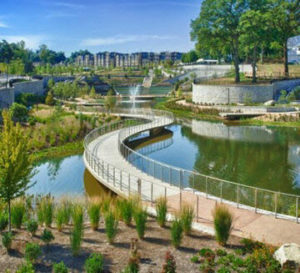 Atlanta’s Historic Fourth Ward Park earned Envision Gold in providing a network of public parks, multi-use trails, and transit along a historic 22-mile railroad corridor circling downtown Atlanta. The centerpiece for the design includes a stormwater retention pond that provides drainage relief within a 300-acre drainage basin. The pond uses artistic elements to aerate and recycle pond water and is surrounded by walking trails, urban plazas, native plantings, and an amphitheater. 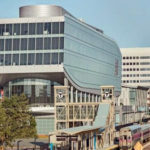 The success of this project has generated adjacent development, revitalized the surrounding urban area, and even helped preserve the iconic City Hall East building in Atlanta by helping to mitigate the flooding that had prevented its restoration. Read more about the park. 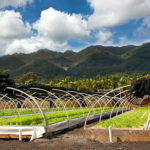 See a complete list of Envision projects, and learn more about Envision and ISI at sustainableinfrastructure.org. 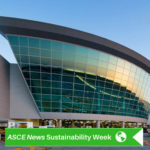 ASCE News originally published this story Nov. 16, 2016. Yes indeed these are the good green engineering innovations and specially i like The Kansas cities street car it seems very useful and on similar note you can also this concept about Green Roof which also offers great benefits.